It is one of most popular readings from the bible and is often quoted in both secular and non-secular worlds. It talks about being patient, kind, and honest and not being envious, proud, or rude. It was read during my wedding and I had to memorize it to be initiated in my college sorority. 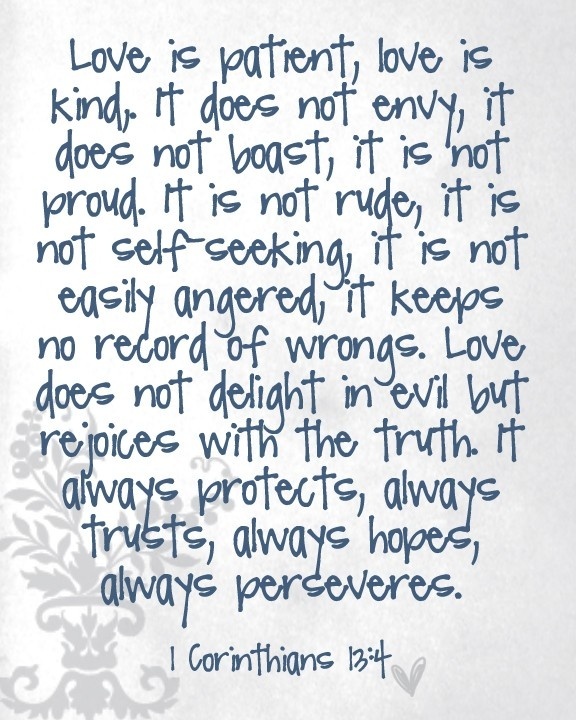 It is, 1 Corinthians:13. So many of us have heard it, know it, and love it. But, did you know there is a Christmas version? It’s not found in the bible, but it’s well worth a read. Enjoy! but do not show love to my family, I am just a decorator. adorned table but do not share the true meaning of Christmas, I am just another cook. but do not demonstrate simple kindness to strangers, it profits me nothing. If I attend holiday parties but do not go to church, I have missed the point. Love stops cooking to hug a child. Love sets aside decorating to kiss a spouse. Love is kind during the holidays though harried and tired. perfectly strung outdoor lights, or a flawless tree. Love doesn’t ask family to get out of the way but is thankful they are in the way. but rejoices in giving to those who can’t and those who aren’t. 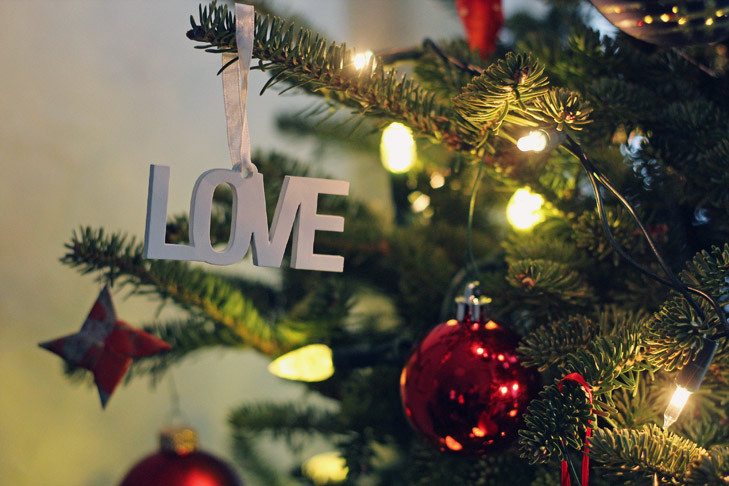 Love never fails, even at Christmas.